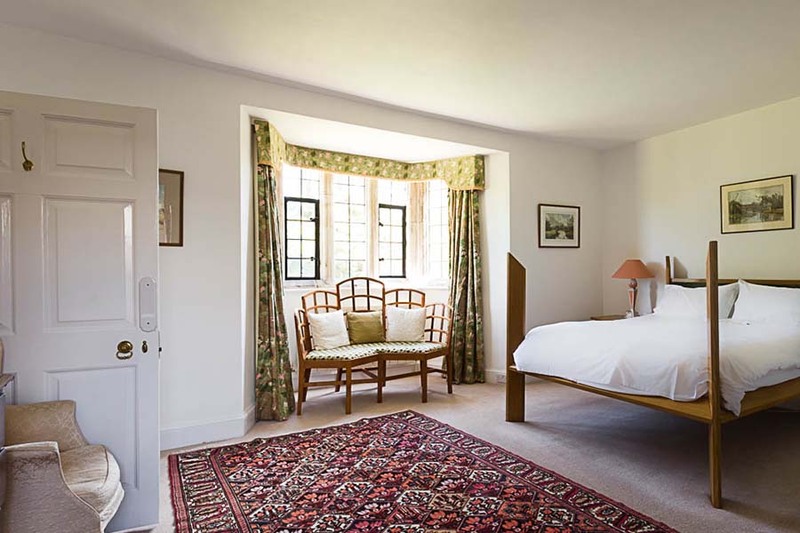 Whetham - a corner room with contemporary double handcrafted half-tester, view over the garden and en suite bathroom (bath plus hand-shower and washbasin). 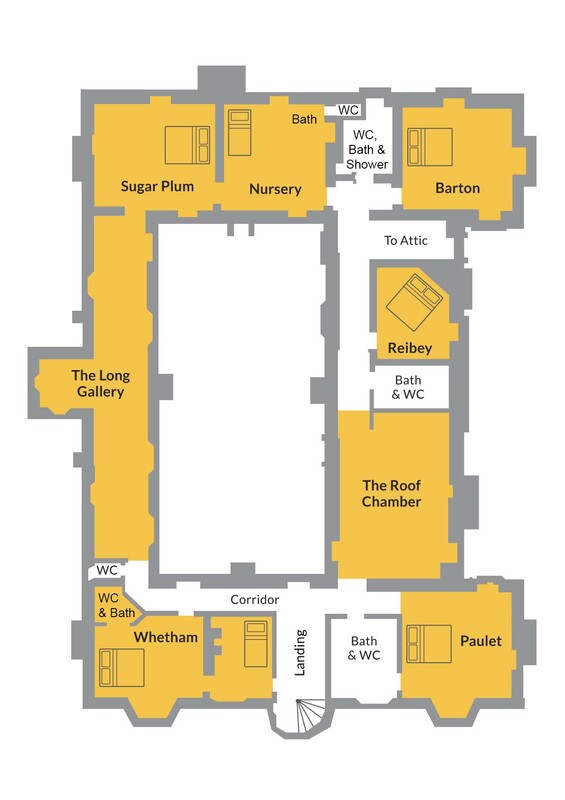 The Whetham Annexe - is a single bedroom (optional interconnecting door to Whetham). 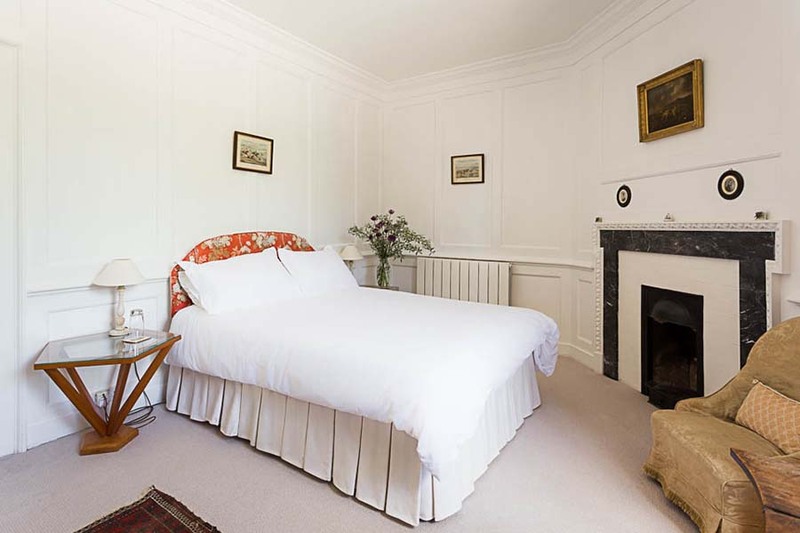 Sugar Plum - a large luxurious room with a four-poster double bed, Georgian panelling, window seat and double aspect windows, interconnecting with The Nursery bathroom and separate toilet. Sugar Plum is also accessed via the Long Gallery. The Nursery - a lovely light room with double aspect windows and window seat, interconnecting with Sugar Plum. It has a day bed for relaxing on or this could be used for an extra child, plus a free standing bath, wash basin and separate toilet. Reibey - a double room with view to front of the house. There are two additional bathrooms located next to Barton and Reiby. Paulet - the master corner bedroom with a four-poster double, carved stone fireplace (ornamental), double aspect windows and en suite bathroom (suite with roll-top bath plus hand-shower, and optional door to landing). 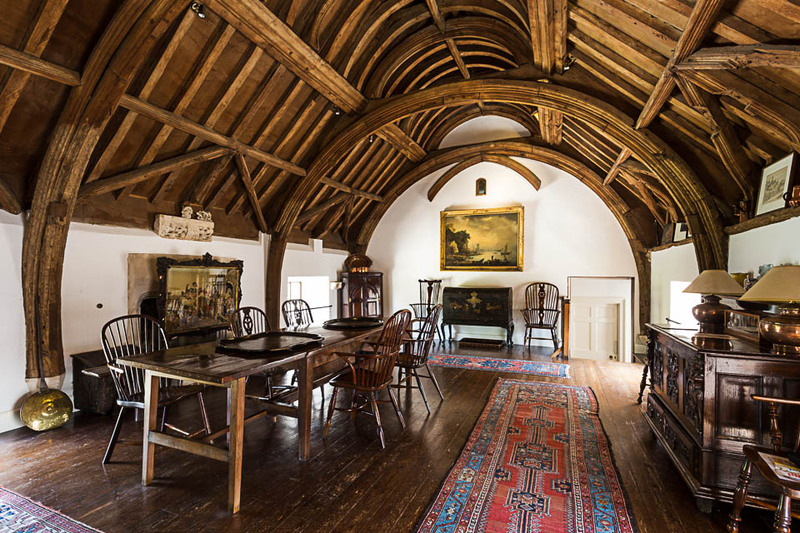 On the same floor are the Long Gallery, with a fascinating display of historical items, and the quite magnificent Roof Chamber with the arch-braced roof from the original Great Hall and much fine furniture. This is one of the designated licensed marriage rooms. 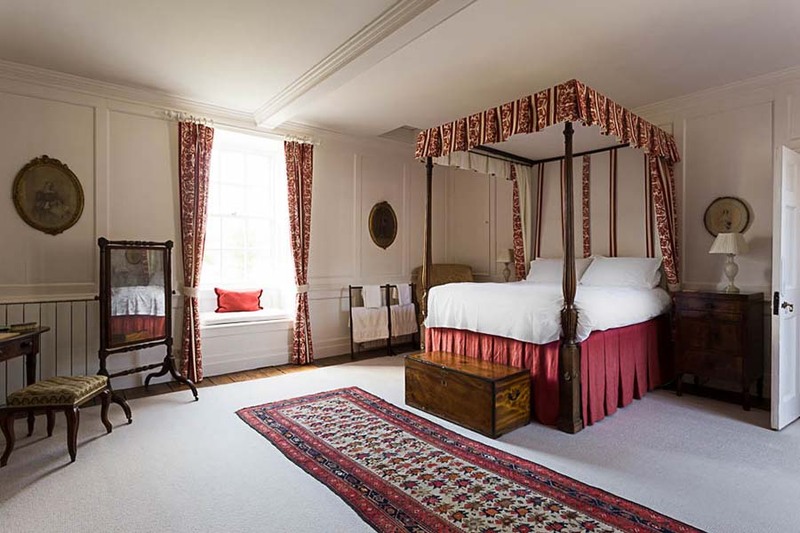 A corner four-poster double (5ft) with Georgian panelling, window seat and double aspect windows, accessed via The Nursery or the Long Gallery. A twin with panelling, double aspect windows and window seat. Interconnecting with Sugar Plum. 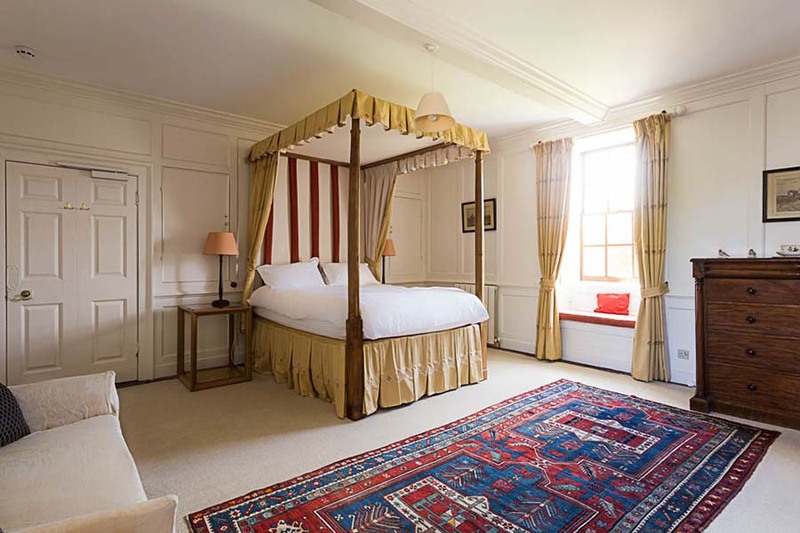 A lovely double aspect corner room with fine four-poster double. 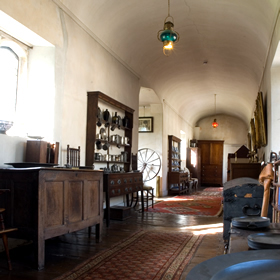 Originally designed for Elizabethan ladies to exercise, stretching the length of the house, now full of antiques and fascinating objects. A double room with view to front of the house. 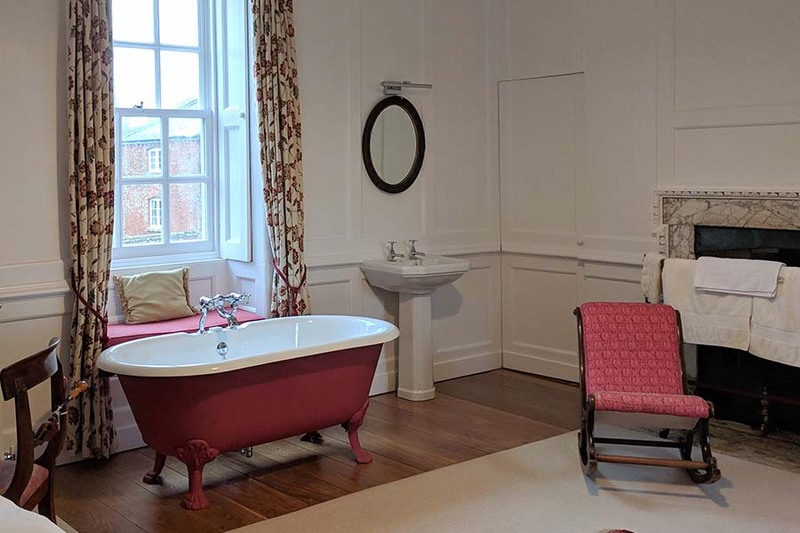 A corner room with contemporary double handcrafted half-tester, view over the garden and en suite bathroom (bath plus hand-shower and washbasin). 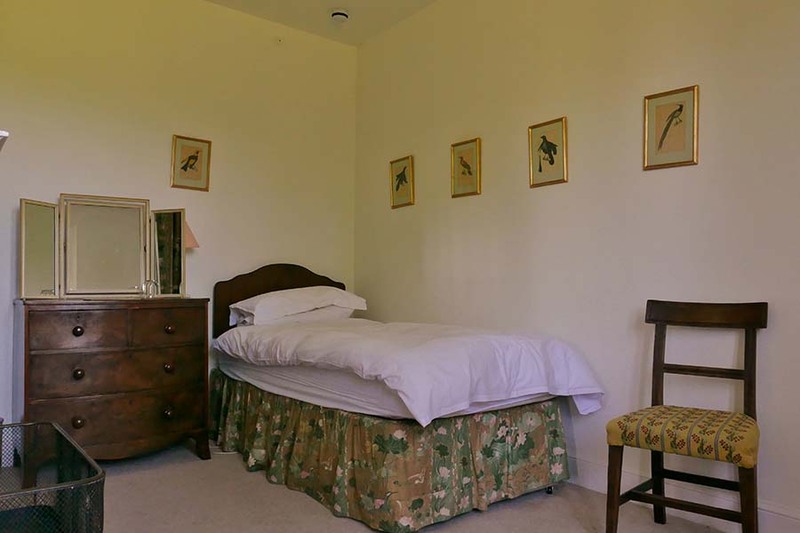 A single room with an interconnecting door to Whetham, ideal for a family of 3. Alternatively, the door can be locked to provide a cosy, separate single room. 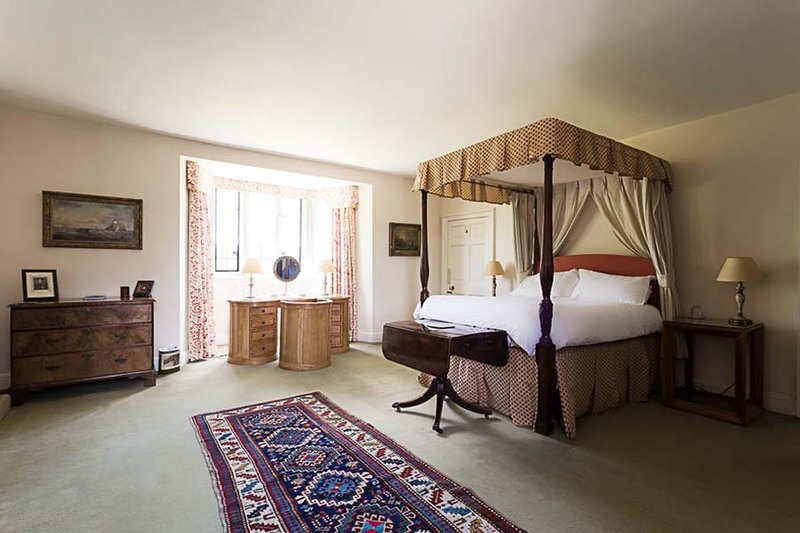 The master corner bedroom with a four-poster double, carved stone fireplace (ornamental), double aspect windows and en suite bathroom (suite with roll-top bath plus hand-shower, and optional door to landing).